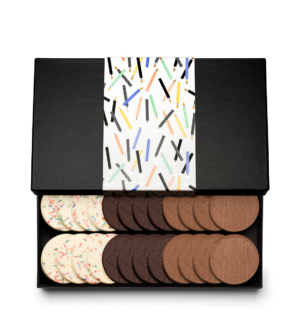 Birthdays are best enjoyed with cookies! 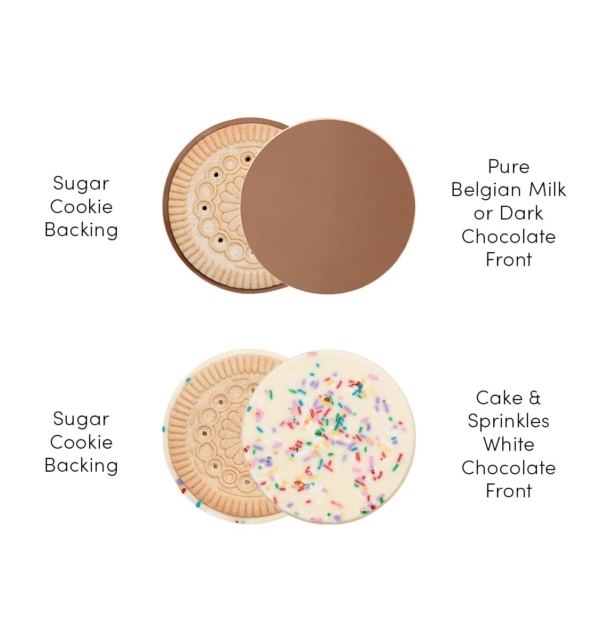 Savor 12 decadent European-style sugar cookies topped with divine and creamy goodness made with pure Belgian chocolate: milk chocolate (4), dark chocolate (4) ) and yummy cake & sprinkles-flavored white chocolate (4). 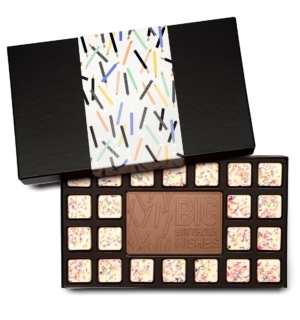 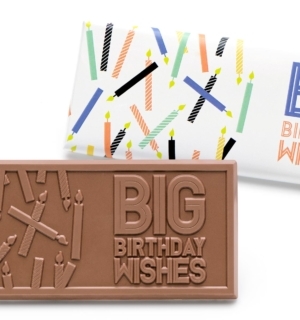 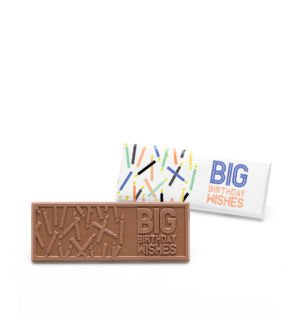 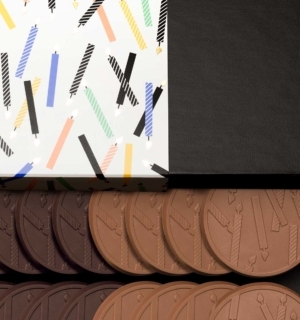 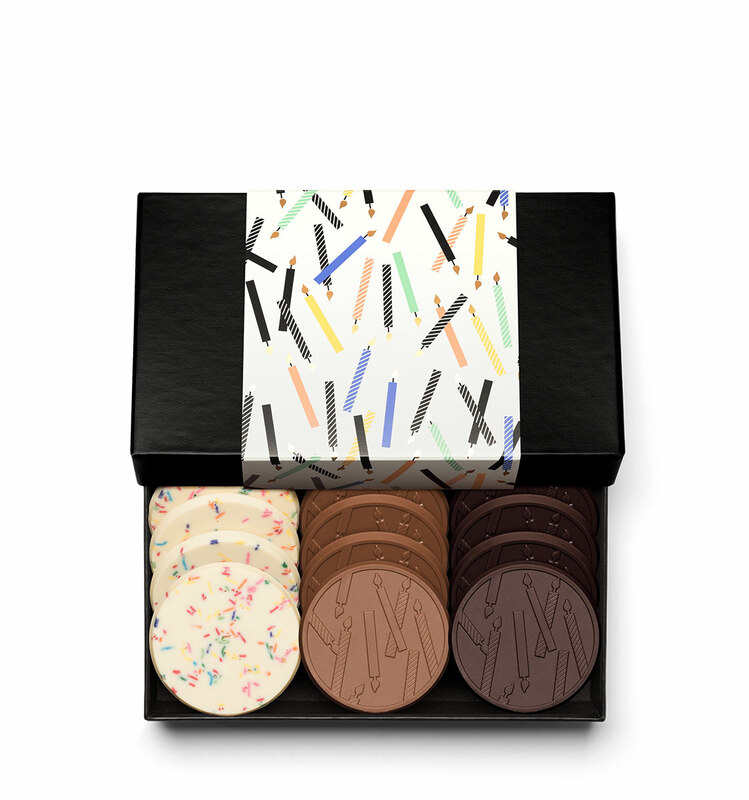 The milk and dark chocolate covered cookies feature an engraved birthday message and the luxe gift box is accented in a modern birthday candle theme accented with metallic stamped details. 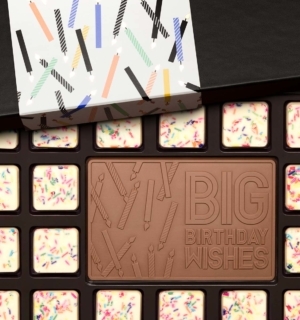 A delivery that shines with birthday memories!